From our extensive inventory we’ve chosen some of our favorites sure to please most all riders. Large Microfiber wipe dry down towel 4.5 sq.ft. 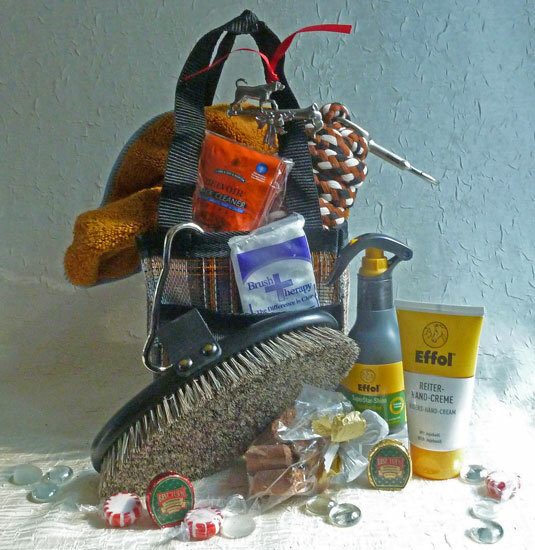 Effol riders hand crème especially designed to be up to the challenge of riders hands. Belvoir leather wipes 5-pack make last minute tack touch up a snap. 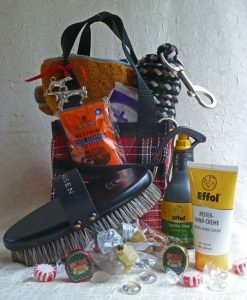 Effol’s SuperStar-Shine grooming aid conditions as it help grow shine. If you would like to have your order shipped to an address outside the United States, please call us for a quote on shipping at 866-843-0510. If we don't answer, please leave a message and we'll get back to you soon! 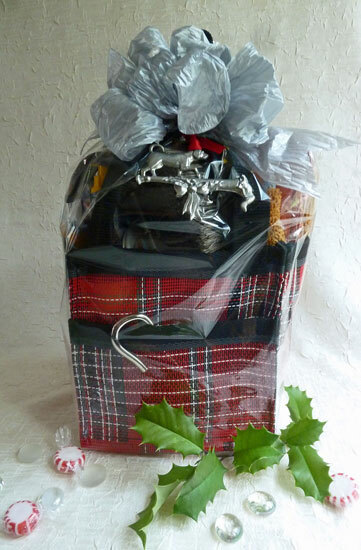 Our goal is to produce a selection of unique specialty gift collections tailored to the equestrian enthusiast, containing the best products available in the marketplace, handsomely packaged and shipped for our customers’ pleasure and delight.